Students who need help dealing with depression, anxiety and other mental health issues often must wait weeks to see a counselor at Texas' major public universities. By the fall of her sophomore year at the University of Houston, Mariellee Aurelio had already thought of several ways to kill herself. Getting a gun, jumping off a building and overdosing on over-the-counter pills were options she considered. It was time to get help. But when Aurelio called the college counseling center in December 2014, she was told to call back later; all appointments for the day were booked. With winter break just around the corner, she couldn’t meet with a counselor before the end of the semester. Her struggle mirrors those of countless college students across the state who are battling depression, anxiety and other mental illnesses but are often forced to wait weeks for a counseling appointment, according to interviews with several university students and counseling center directors. Understaffed counseling centers at Texas universities say they are frustrated by their inability to reach students, but the state doesn't earmark money for mental health services, and lawmakers want to limit tuition hikes. That leaves universities strapped for funds to hire more counselors and improve services. 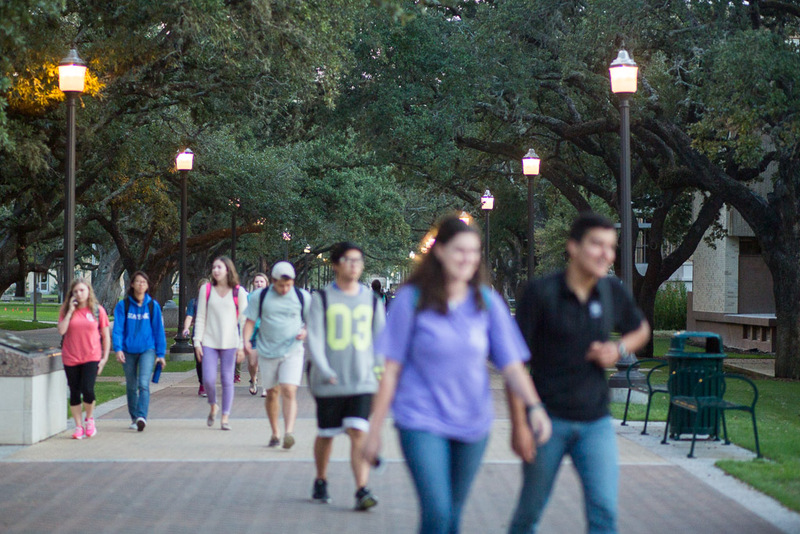 Counseling centers at six of the largest public universities in Texas are funded primarily by student fees or tuition. While all the centers say they could use more staff, they don’t want to overburden students or run afoul of politicians, such as Lt. Gov. Dan Patrick, who have excoriated universities for increasing tuition. Some university administrators are exploring corporate sponsorships and private donations to expand counseling services. While they seek a solution, it is often the students who suffer. The thought of ending her life loomed over Aurelio during winter break. She finally got an appointment when she returned to school the next semester, but it was a scary time. “That was a setback because I was very suicidal, and I needed that help,” she said. Each school is understaffed by the standards of the International Association of Counseling Services, which recommends college counseling centers have at least one full-time professional staff member for every 1,000 to 1,500 students. Those staff members should be counselors providing therapy, rather than interns or psychiatrists, who primarily write prescriptions, said Paul Polychronis, the group’s president. While the ratio is a general guideline, it helps ensure high standards of care, he added. 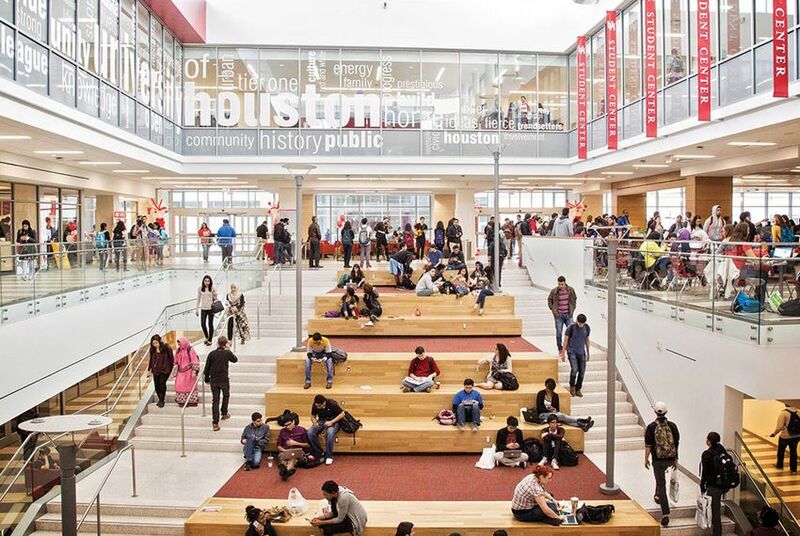 A Tribune review found the University of Houston is farthest from this mark, with about one full time equivalent professional staff member for every 3,200 students. UT-Austin had the best ratio of the six universities: about one staff member for every 1,800 students. The other four universities have ratios ranging from one staff member for every 2,000 to 3,000 students. With too few counselors, students may drop out — or hurt themselves — waiting for an appointment, said Amy Lenhart, former president of the American College Counseling Association and a counselor at Collin College’s Frisco campus. “You’re unfortunately going to have people drop through the cracks,” she said. To meet the recommended staffing ratio, the University of Houston would have to hire about 15 more counselors. At the salary of the university’s lowest-paid counselor (based on the Tribune’s database of government salaries), that would cost more than $750,000 per year. But half the challenge in hiring a counselor is matching salaries in the private sector, said Ngo. The average salary for an entry-level psychologist in Texas is about $62,000, according to the Texas Workforce Commission. At that rate, it would cost the university more than $900,000 per year to hire 15 more counselors. That type of funding leap is hard to imagine for many universities, especially since Patrick has suggested the Legislature try to limit tuition growth when it reconvenes next year. Earlier this year, Patrick noted that total academic charges at the state's universities have grown 147 percent since 2002 while the nation's median household income has grown just 32 percent. He called on universities to tighten their budgets and save money by reining in administrative salaries and bonuses. While the state does not provide funds specifically for mental health services, universities can put funds allocated for “instruction and operations” toward counseling centers, said Kelly Polden, a spokeswoman for the Higher Education Coordinating Board. Officials at Texas A&M and UT-Austin said state money mostly goes toward paying faculty salaries and funding particular colleges. It all comes down to balancing priorities, said Daniel Pugh, vice president for student affairs at Texas A&M. He said the university tries to keep student costs low while providing needed services. “We want to be responsible stewards of student dollars and the people of Texas’ dollars,” he said. The A&M counseling center, which sees about 700 students each week, has a budget of $4.4 million for the upcoming academic year, Pugh said. That budget has increased nearly 60 percent in the past 10 years — one of the fastest-growing budgets at the university. But it is still not enough to hire additional staff or create a facility large enough to fit them. Rather than increase the $1,300 fee students pay each semester to help fund the center, the university is looking to donors and sponsorships, Pugh said. The counseling center is also trying new strategies like online counseling to increase its speed and turnover. At UT-Austin, the counseling center has seen a 45 percent increase in students seeking services over the past six years, Director Chris Brownson said. It’s hard to keep up with that demand, so many students are now referred to off-campus providers, he said. The center’s budget, which was $3.9 million this past year, is funded through tuition, endowments and a service fee students pay when attending counseling, said Mary Knight, associate vice president for finance at the university. No state funding is allotted to the counseling center. “There’s a lot of competing needs at the university,” Knight said. “Counseling and mental health is definitely a priority.” But, she added, it would help if the Legislature set aside funding specifically for counseling and mental health on college campuses. Students like Aurelio say a solution to fully staffing counseling centers cannot come soon enough. She knows the difference it can make to see a counselor. About a month after her first counseling session, Aurelio nearly attempted suicide twice in one night. After speaking with her University of Houston counselor the next day, she agreed to go to a hospital for treatment. Correction: An earlier version of this story said incorrectly that House Speaker Joe Straus has suggested the Legislature should limit tuition growth for Texas universities. While Straus did include college affordability on his list of items he wants lawmakers to study this year, regulating tuition isn't mentioned in that list. Disclosure: The University of Texas at Austin, the University of Houston, Texas A&M University, Texas State University, Texas Tech University and the University of North Texas have been financial supporters of The Texas Tribune. A complete list of Tribune donors and sponsors can be viewed here.